Just about every year I read something about the demise of wedding fairs and whether they are still worthwhile for suppliers in this age of social media. But don’t write off wedding fairs just yet. Used well they can be one of your most effective marketing options. Don’t just go with your sales hat on. Listen and learn too. Wedding Fairs are an unbeatable way to get face to face with your prospective customers and learn what’s important to them. So make sure you ask questions and listen to the couples you meet. You’ll get valuable feedback. They are also great for networking. Talk to your fellow exhibitors and also the organisers – they are often very well connected. Want to get onto the approved supplier list for a particular venue? Getting yourself booked into their wedding fair or open day is a good first step. 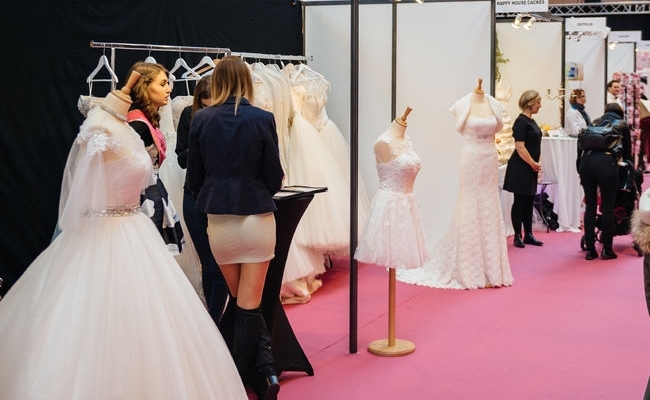 New wedding businesses often book lots of wedding fairs when they first start out. Old hands know that you need to be really picky about which fairs to attend. Track record – is the event well established and popular? Location & Size – there’s no point in going to national events if you only deliver your wedding cakes around your home town. Before you book, work out if your target customer is going to be there. 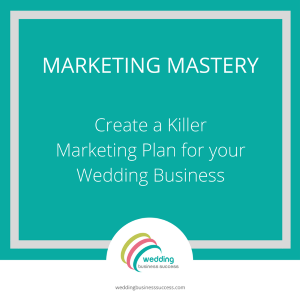 If you are targeting high end couples who are likely to use a wedding planner you probably won’t meet them at wedding fairs. They use a planner to do all the running around for them. And for some wedding suppliers the timing of wedding fairs is just wrong for their product or service. I always found stationery a tricky one. Many of the couples attending fairs are newly engaged and often 2-3 years from their actual wedding date. They are looking for the big items – venues, photographers, cars – that get booked up well in advance. Stationery can wait. It’s not enough to simply throw together a few samples and then turn up on the day. Prepare carefully and ensure you have a stand that grabs attention. Have a conversation opener and be prepared to take details from those you talk to so that you can follow up. And make sure you DO follow up.